Lifetime hopes you don’t get Murdered at 17! Murder at 17 was the case at 17 and the case at 17 was me at 17! Don’t you hate it when you have violent rage fits and then a charismatic stranger becomes an obsessed stalker and you may or may not be murdering people, which will totally get in the way of cheerleading? We’ve all been there, which is why Lifetime’s latest flick Murdered at 17 speaks to all of us! It’s part of the ____ at 17 universe, which means it is written by Lifetime’s #1 awesome story-teller, Christine Conradt! That alone guarantees this will be a rocking good time, and that’s before we deal with what actually happens in the movie! Be there for great Lifetime fun! Pretty and popular, seventeen-year-old Brooke Emerson is the envy of her classmates–and even some of her closest friends. But while she seems to have it all, Brooke has never felt so lost. Ever since she sustained a head injury during a cheerleading stunt the previous year, she’s suffered from a disorder that causes her to fly into uncontrollable, sometimes violent rages. As hard as she tries to keep it together, she finds herself in danger of jeopardizing her seemingly perfect life. It isn’t until Brooke meets Jake, a handsome and charismatic stranger, that she feels like she’s found someone who not only understands her, but accepts her for who she is. As tempting as it is to get swept up in the romance, she can’t help but feel like something in their relationship isn’t quite right. When her best friend is brutally murdered, Brooke has no choice but to depend on her new love…especially because she’s worried that she might be the killer. Murdered at 17 premieres Sunday, July 8th on Lifetime! 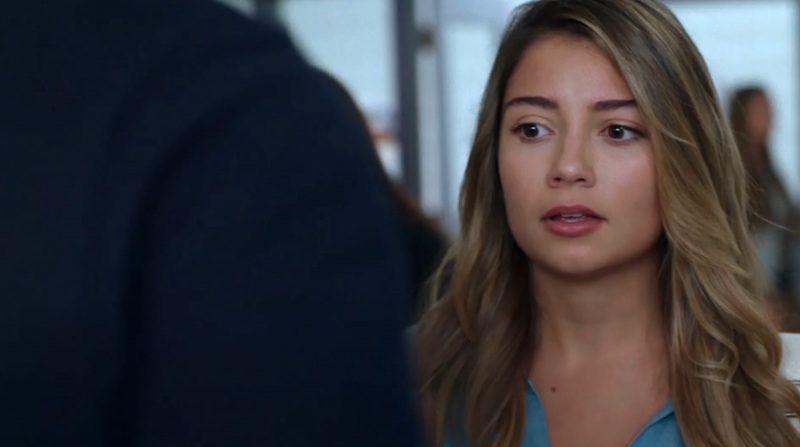 A sperm donor comes collecting on Lifetime’s Killer Single Dad! Me after watching 24 hours of Lifetime movies! Of all the upcoming Lifetime movies this summer, Killer Single Dad has the most awesomely insane premise to explain to other people. A guy who donated sperm is now collecting all the children he sired and will kill anyone who gets in his way! It’s like reverse spermjacking…wombjacking if you will! This plot is amazing and promises a creepy, suspenseful Lifetime gold star movie that will pull out all the stops and then keep going! Newly single Jennifer meets single dad Garrett at her daughter’s preschool. She’s swayed by his charm but in the dark about his goals. Garrett is really a serial sperm donor, now determined to kidnap all of the children he’s sired and unite them all to one big happy family. Killer Single Dad premieres Sunday, July 1st on Lifetime! Misery is a Killer Ending on Lifetime! The killer is now standing on her head while drawing threats in lipstick, amazing! Writing can be dangerous because writers are always picking up murderous obsessive fans. It has to be true, that’s why there are so many movies about it! 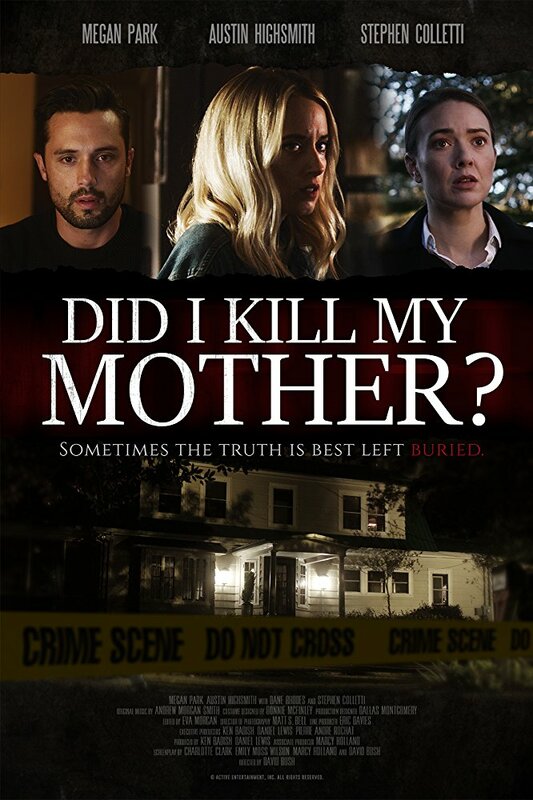 Killer Ending is the latest film to feature a writer with an obsessive fan, this one who desires to copy the crimes in her crime novel, but with the writer’s own daughter! Dun dun DUN! Oh, Lifetime! Agatha Sayers best-selling novel becomes her worst nightmare when her daughter is abducted in a copycat scenario tangled with an obsessive assistant intent on stealing her identity. Killer Ending stars Emmanuelle Vaugier (Cerberus), Chelsea Hobbs (Confessions of a Go-Go Girl), Kayla Wallace, and Woody Jeffreys. It’s written and directed by Christie Will Wolf (A Cookie Cutter Christmas), who has always produced high quality stuff! It also seems to be another case of Lifetime having shown a movie already but didn’t give it enough fanfare so is now pretending it is premiering again! So in any event, Killer Ending airs Saturday, June 30th on Lifetime! Stalkers stalk in Lifetime’s A Night to Regret! Once again Lifetime is back with a timely warning about how THE INTERNET WILL KILL YOU! This time, an innocent girl visits her friend who is now a webcam girl, only to be seen on camera and become the target of a dangerous stalker. Yes, don’t even visit your friends because stalkers are everywhere! The stalker will carve his way through anyone who dares stop him from kidnapping his target. He’s dropping bodies into dumpsters, making his own homemade knockout drugs, the whole nine yards! A Night to Regret sounds like fantastic fun, and with Christine Conradt having a hand in the script, there is no way it won’t be a most amazing Lifetime movie! When college student Chelsea Bilson meets up with her estranged childhood best friend, Milla, she is unprepared for the events that follow. Milla, who is now a webcam girl briefly catches Chelsea on camera during one of her shows. Unbeknownst to her, Chelsea has now been exposed to a watcher who becomes obsessed with her beauty and naiveté. He soon discovers Chelsea’s true identity and will stop at nothing to have her to himself. Chelsea enlists the help of her mother and the two must fight for their lives in order to stop an obsessed and murderous madman. A Night to Regret premieres Sunday, June 24 on Lifetime! Did I Kill My Mother? asks the important questions on Lifetime! Don’t you hate it when you can’t remember if you’ve murdered a beloved family member? Lifetime knows you pain, and Did I Kill My Mother? is a film to speak to all of us who have gone through this trial. There will be plenty of Lifetime twists and turns along with plenty of fun, and from the looks of it, plenty of bodies as well! Seems like it will be a fun ride! It’s also another movie Lifetime showed a few weeks ago but is trying to say is a new premiere, imagine having so many movies you can’t keep track of them! But as we never covered it, it’s new to us! A year after her father’s unsolved, suspicious murder, a young woman’s mother is found dead in the home they both live in. The police think she may be the murderer, and she and her friends have to prove her innocence, while they dig deeper into the real killers hidden life. Did I Kill My Mother? airs Saturday, June 23 on Lifetime! The Wrong Son is on the right network with Lifetime! Samwise Gamgee has returned and he’s angry! I’ve loved creepy movies about returning long lost evil sons who may or may not be fake ever since I saw grown up Ricky Schroder return with anger issues in the made-for-tv movie The Stranger Within as a child. The Wrong Son continues that tradition with a returned from the dead son and lots of suspicious accidents. Plus it’s got Olivia d’Abo, so we can all pretend it is a sequel to The Wonder Years! Thirteen years after disappearing and presumed drowned, Matt returns home to his mother Sarah. Suspicions grow when her older son Ian is injured in a car accident similar to the one that recently killed his father. Is this really Sarah’s missing son and is he seeking a loving home or revenge? The Wrong Son stars Olivia d’Abo, Tammy Blanchard, Dan Amboyer, and Paloma Guzmán. It’s directed by Asylum-alum Nick Everhart and the story is by Shane O’Brien (a producer, this appears to be his first writing credit). The Wrong Son premieres Sunday, June 17th on Lifetime!